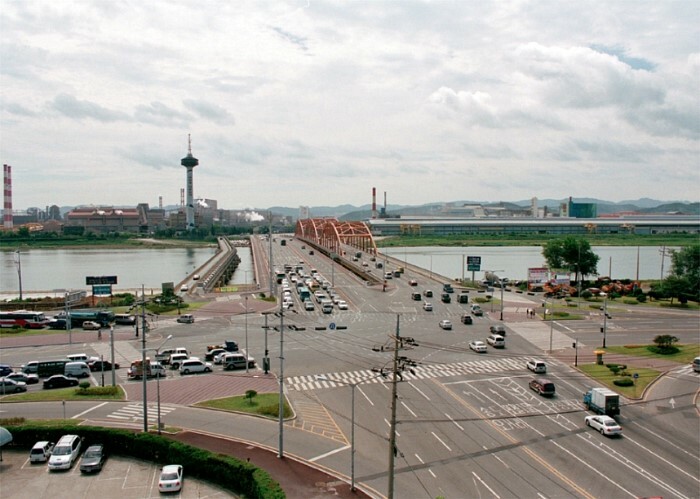 The Sangyo Bridge (신형산교) connects Pohang, South Korea to the Pohang Steel Corporation (now POSCO) via NR 31 over the Hyeongsan River. 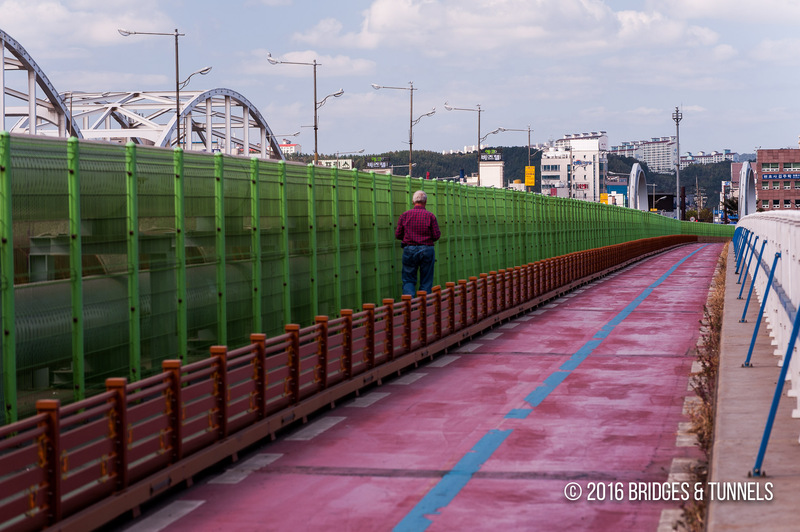 A cycle-track and pedestrian bridge was later constructed adjacent to the 1995 structure. 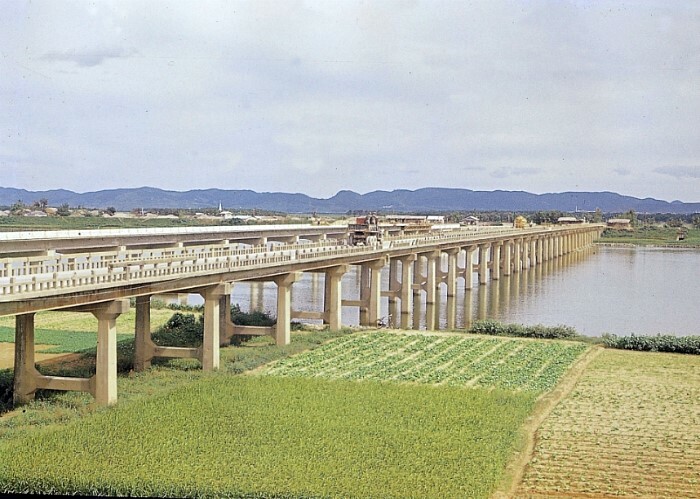 Hyeongsan Bridge prior to completion in 1967, leading to POSCO. Source: Naver. 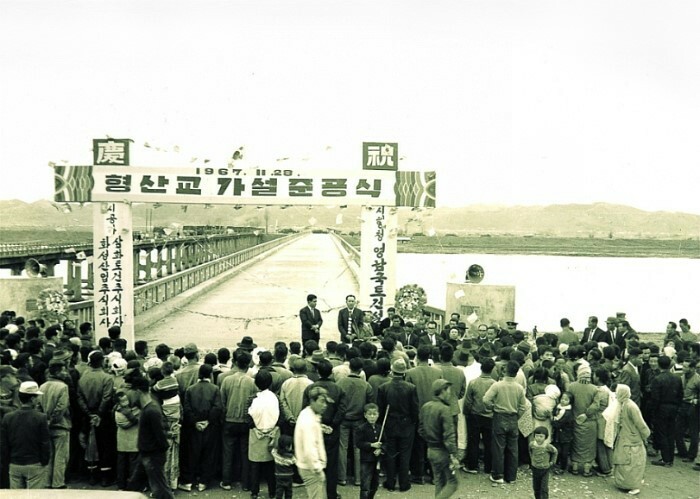 The original Hyeongsan Bridge, to serve the POSCO facility, opened on November 28, 1967. Source: Naver. 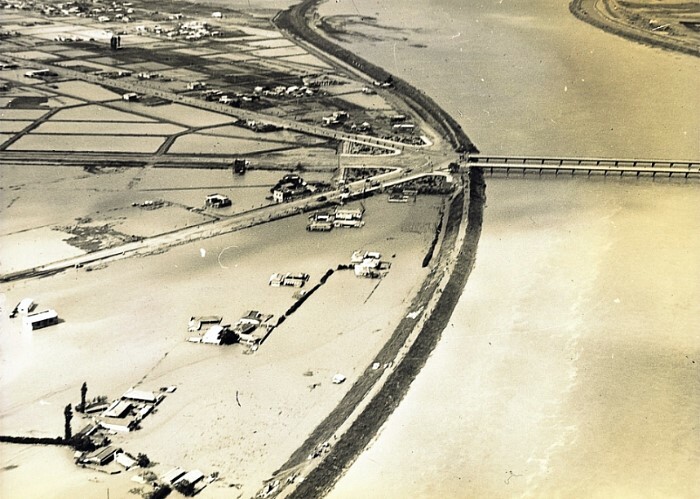 Hyeongsan Bridge engulfed by floodwaters in 1970. Source: Naver. 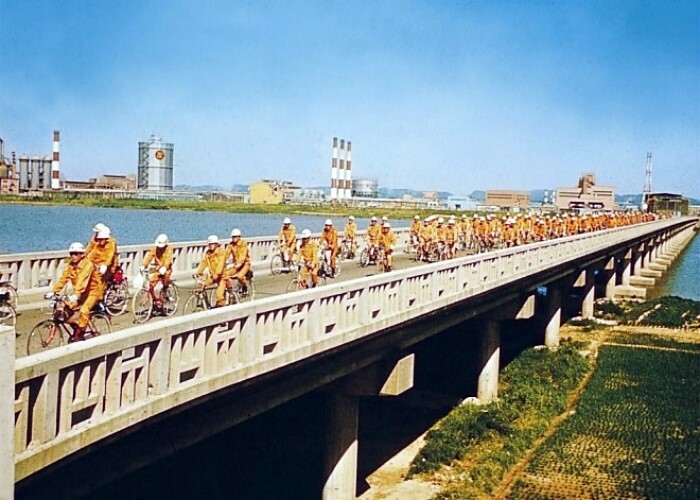 Commuters from POSCO in 1972. Source: Naver. 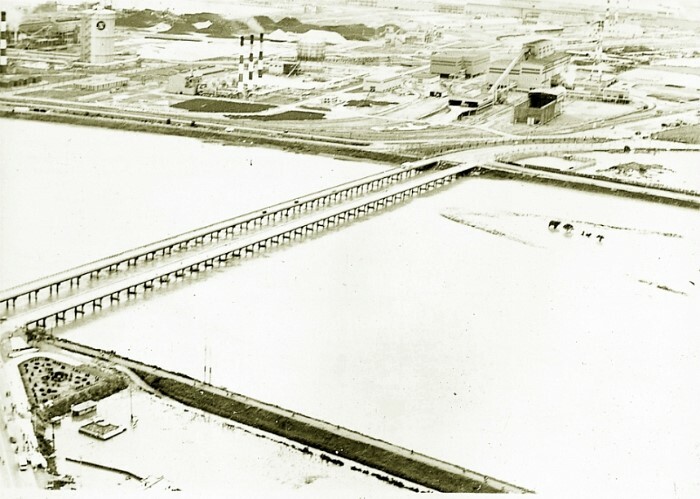 The new Sangyo Corporation bridge is under construction in 1977. 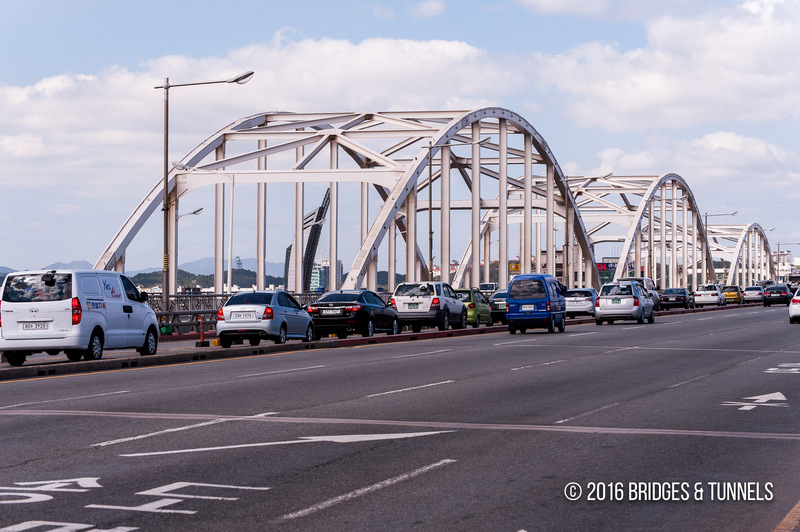 The original Hyeongsan Bridges are adjacent. Source: Naver. 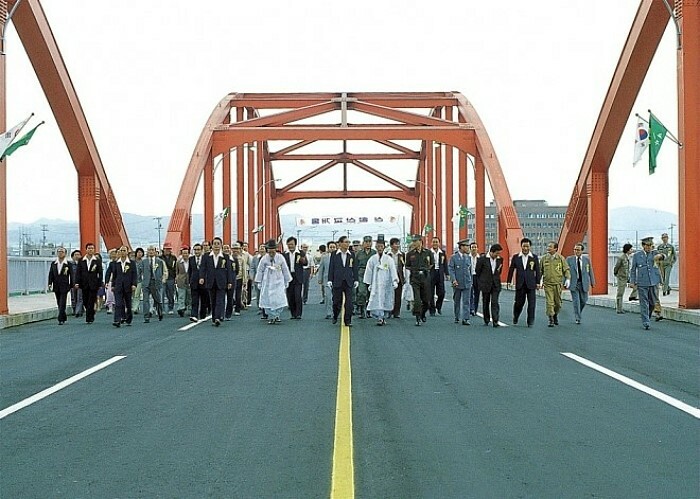 The new Sangyo Bridge was opened in 1978. Source: Naver. 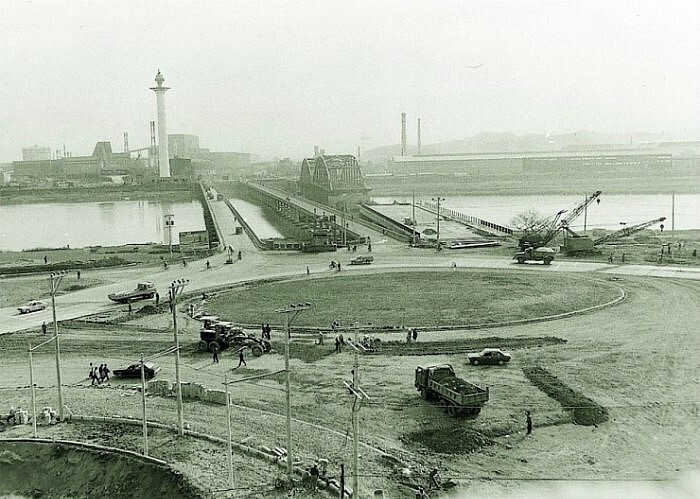 A 2009 view. Source: Naver. 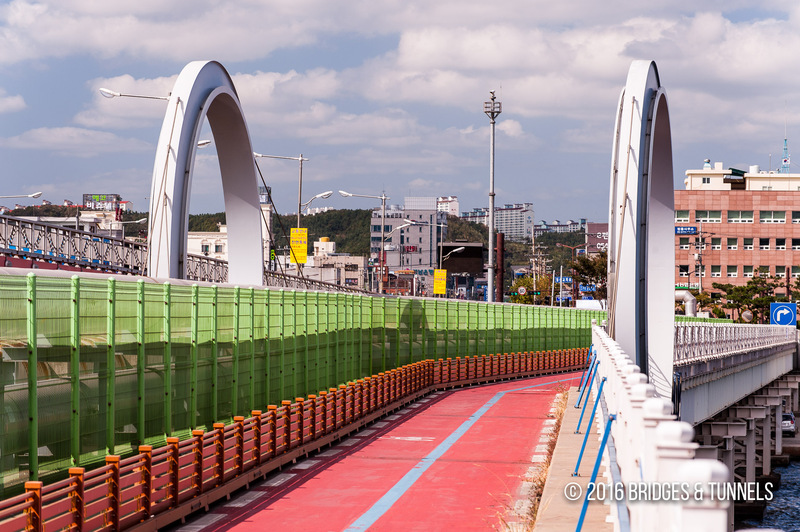 “Pohang Sangyo New Remuneration until the End of the Year Spent 1.7 Billion Won.” Songgo Times, 28 Sept. 2015. Web. 1 Jan. 2016. “포항시, 신형산교·섬안큰다리 보수공사 추진.” Yeongnamilbo, 13 May 2014. Web. 1 Jan. 2016.